One recent feature of the markets this winter has been strength in the grains and oilseed complex. Dry weather in Argentina and concern over production prospects there have caused prices to advance from historically depressed levels as risk premium gets added back to the market with commodity fund short covering. USDA recently reduced their estimates for both Argentina’s corn and soybean crops in the February WASDE report, with corn production dropping 3 million tons from January to 39 million while soybean production was cut 2 million tons to 54 million. Further reductions may be forthcoming for both crops in upcoming reports as well due to weather forecasts that call for little relief to the country’s main growing regions. While the grain and oilseed markets have been largely subdued this winter since the completion of the U.S. harvest, with large crops and building stockpiles limiting price advances, the markets have recently responded to the developing drought in Argentina. 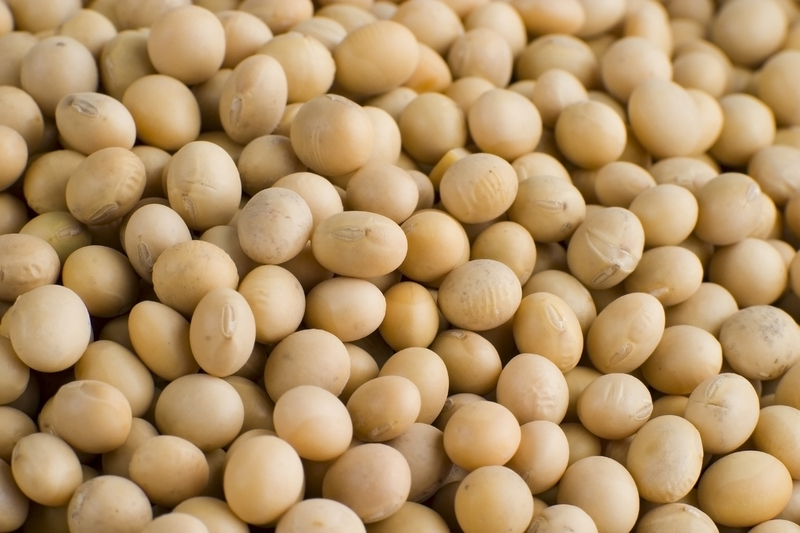 Soybean meal in particular has witnessed the sharpest price appreciation as Argentina supplies half of the world’s soymeal exports. Looking at the soon to expire March contract, prices have advanced about 24% from a mid-January low around $310/ton to over $380 recently (see Figure 1). Soybean prices likewise have moved higher, although not to the same degree as soybean meal. 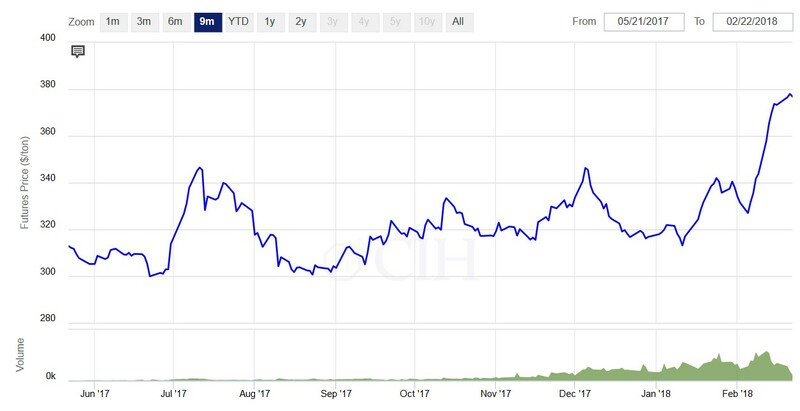 While soybean meal is trading at new life of contract highs, soybeans have still managed to increase about 85 cents from their lows in mid-January, and are getting close to the highs seen last summer in mid-July during a brief scare over U.S. crop prospects (see Figure 2). Corn meanwhile has been a relative laggard, although prices have also been increasing recently, with the March futures contract up about 25 cents from its low early in the year (see Figure 3). As Argentina faces more competition from other global exporters, including the U.S., Brazil and Ukraine, the corn price response has been muted. 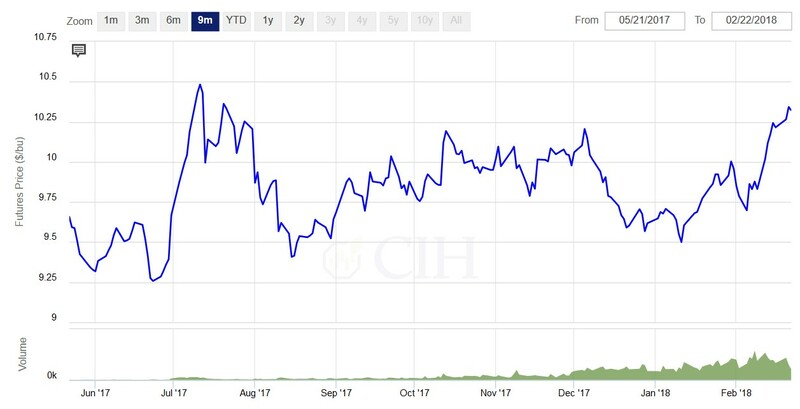 Despite this, there is a sense that the market is bottoming out and may hold recent strength with expectations for reduced acreage in the U.S. this spring. USDA’s annual Outlook Forum pegged corn plantings at 90 million acres, down 1 million from their baseline projection last November and slightly lower than last year. The recent price increases in corn, soybeans and soybean meal have affected margins to varying degrees for different operations. For crop producers, the strength has been welcome as these operations have been facing extremely negative profitability for quite some time. The rise in soybean prices in particular is now projecting new-crop margins just above breakeven, while new-crop corn margins are still negative but within about 15 cents/bushel of breakeven assuming average historical yields. As a result, crop producers have been active recently modeling different scenarios adjusting production costs and yield assumptions in order to set targets for their new-crop marketing plans. Many operations have already implemented strategies on soybeans to protect a breakeven scenario, while allowing upside flexibility for improved margins from a further price increase. Similarly, corn targets are likewise being set to take advantage of any further price strength in order to implement strategies that will protect a breakeven level. For livestock feeders, the price advance has not been as welcome given that these markets represent costs for their operations. 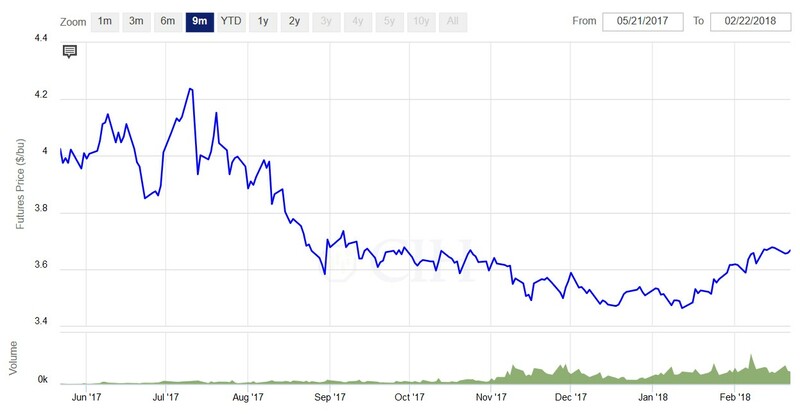 As an example, for a farrow-to-finish hog operation that is open on feed and purchases all of their requirements in the open market, the recent advance in corn and soybean meal prices has eroded forward margins by about $2.30/cwt. Fortunately, forward hog prices have also been rising recently; however, margins remain below where they were projected in mid-January due almost entirely to rising feed costs. While hog finishers that grow their own corn, or who have previously contracted some of their forward needs in the feed market have not been affected as much, it is important to understand and model how much of an impact rising costs have had on forward margins and profitability. Dairy operations continue to face depressed margins, projected at or below breakeven through the balance of the year, and rising feed costs have certainly not helped the situation. While many dairies have already contracted forages ahead for forward milk production, here too it is important to understand the impact of rising feed costs on deferred margins for that portion which remains open and at risk to further appreciation. It is also critical to understand the degree to which certain feeds correlate to either corn or soybean meal such that rising prices have affected those markets. 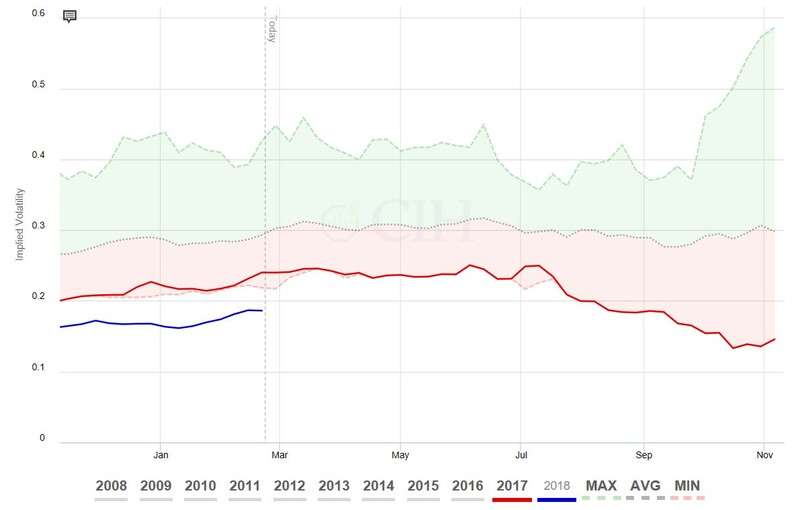 Cattle feeders have probably experienced the least impact on margins from rising prices recently as corn has not moved as much as the soybean complex, while rising cattle prices have helped to offset much of the impact recently from higher corn trade. All the same, a continuation of strength in the corn futures market will erode forward margins so feedlots likewise need to be vigilant in monitoring costs and measuring the impact on feeding profitability. While feed costs are now projected higher for the hog, dairy and beef cattle industries relative to what existed just one month ago, there are still many options to consider for operations still exposed to higher prices. For starters, much of the variable feed cost for producers is tied to corn prices which have witnessed the least amount of price appreciation. Moreover, corn option implied volatility remains at a 10-year low, with the market showing limited response to the recent increase in price in terms of option risk premium (see Figure 4). As a result, producers can purchase call options cheaply to provide a ceiling on their corn costs to get through the spring and summer weather uncertainties that can bring higher prices and increased volatility. As an example, with December corn futures trading around $3.98/bushel, a $4.00 call option currently costs about 25 cents which would provide a maximum price of $4.25 and allow an operation to participate in all lower prices if the market moves back down. 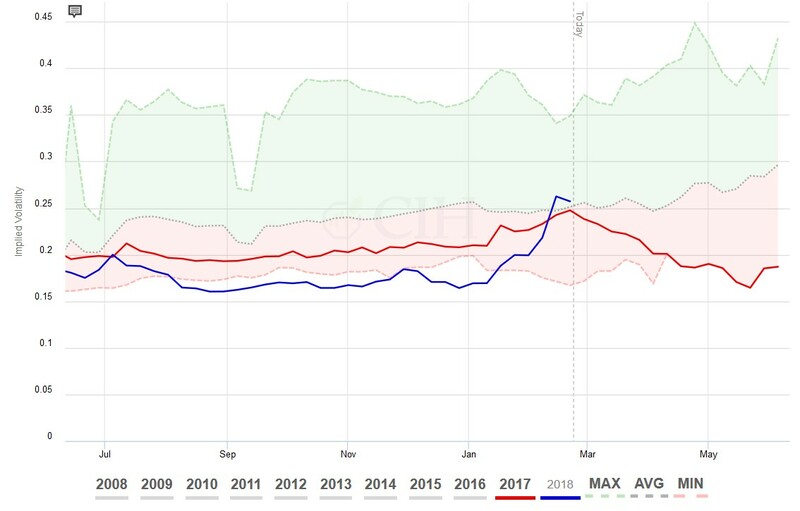 For feeding operations exposed to soybean meal, that is trickier as the market has made a much sharper price advance compared to corn, coupled with the fact that volatility is now elevated and about average from a historical context (see Figure 5). Despite these considerations, flexible strategies can still be created to protect against further price appreciation while also allowing for the opportunity to participate in lower prices if the market eventually corrects. As an example, with July soybean meal futures currently trading around $380/ton, an operation can protect a $50 range of higher prices up to a limit of $430 while simultaneously remaining open to lower prices down to a limit of $330 for a cost of about $10/ton. For crop producers, the opportunity currently appears to be in the soybean market which has witnessed more relative strength compared to corn. As mentioned, many operations are active modeling scenarios and determining breakeven levels under different yield assumptions. One idea to take advantage of the recent price increase might be to place an offer to establish both a floor and ceiling for a limited cost, or possibly even no cost. Two levels that some producers are evaluating for this type of structure would be a minimum price of $10.00/bushel and a maximum price of $11.00/bushel against the November futures contract. In terms of corn, with option implied volatility so low it probably makes more sense to stay as flexible as possible without imposing any strategy limitations at this point, and simply establish a floor at or near current price levels. Similar to soybeans, many producers are targeting levels that would represent an attractive price to secure their new-crop production. A $4.00 floor seems to be the price that would trigger a decision. If you have questions or would like to discuss how recent price strength in the grain markets and oilseed complex have affected your margins, please call 1.866.299.9333.